IT’S DECEMBER EVERYBODY! I’m extremely excited about Christmas. I have to say that November has been one of the best months of this year. Many exciting things have happened. For example, I’ve been to London, which is always exciting despite the fact that I’ve been there a few times. 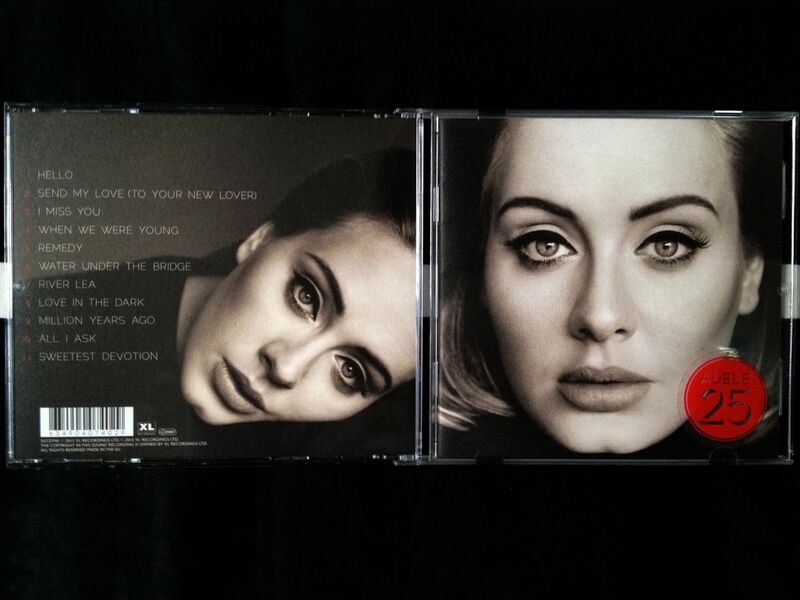 Another amazing thing that has happened is that ADELE IS BACK! (I’m a huge fan, I admit it). Because it’s been such a good month I’ve decided to show you my November favourites. I’d like to start with some Harry Potter items. Yes, of course, I LOVE Harry Potter! Whilst I was in London I went to Camden Town Market. There you can find a huge variety of fandom jumpers. When I saw this Hogwarts Jumper I knew it had to be mine. It was quite cheap I think as it cost me £10. 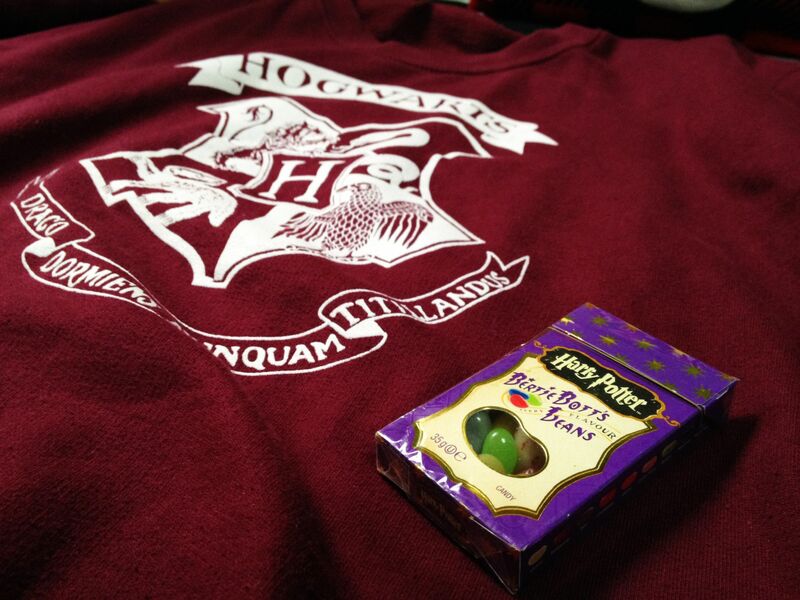 I also went to The Harry Potter Shop in King’s Cross Station, where I bought Bertie Bott’s Beans. These are also one of my November favourites. I like them not because of their flavour (the good ones are quite good), but because of people’s reaction when they eat one of the bad ones. It very funny! During this month I’ve also bought quite a few items. 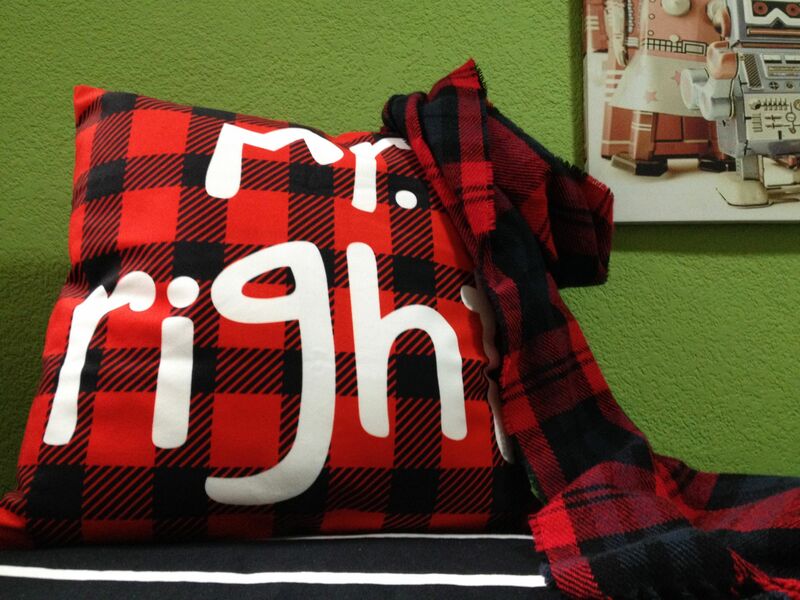 One that I love this beautiful Mr Right cushion, which I bought from a new local shop. The original price was 12,99€, but it cost me a little bit less because there was a special discount. It is VERY soft, that’s why I like it that much. Now I only need a girl with a matching Mrs Always Right cushion! I’ve also bought this scarf from C&A. Its price was 12,99€. It is also very soft and I’m in love with its pattern (I’m OBSESSED with it to be honest). 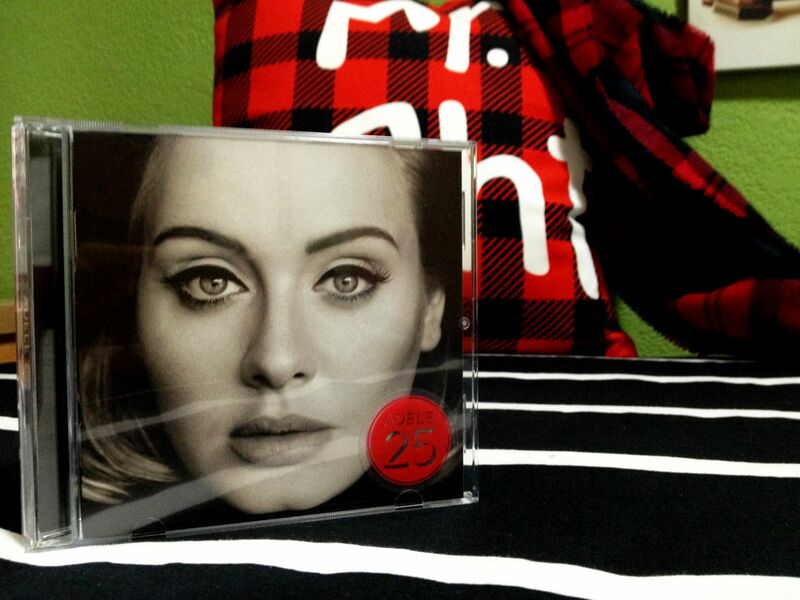 Definitely, what most people will remember about this month is Adele’s new album, 25. She announced that she was coming back in a TV ad (you know which one I’m talking about, don’t you?). I’ve listened to it a lot of times but I feel like I will never get bored. Every single song is perfect. I think that When We Were Young is my favourite track of the album, but I am not really sure because I love all the songs in it. I am also very excited about the tour (YES! I managed to get tickets for the concert in Barcelona on May 24th). Firstly, she said she wasn’t going to tour but it was all a lie. Last but not least, one of my favourites this month has been the launch of my blog. This blog! It was something I’d wanted to do for a long time. I’m so glad for all the support I’ve received so far. Due to this, I would like to say THANK YOU. I hope you’re enjoying it as much as I am. I’m in love with this pattern as well!! I don’t know how shops didn’t sell as much as now shirts with it! Before I suffered because I didn’t find many of them. I’m so happy you’re able to go to Adele’s concert, I hope you to enjoy it a lot!! I’m a huge fan of Harry Potter as well! And i have that jumper, it’s so cozy! That’s one awesome Harry Potter jumper. You’ve got it at such a bargain! 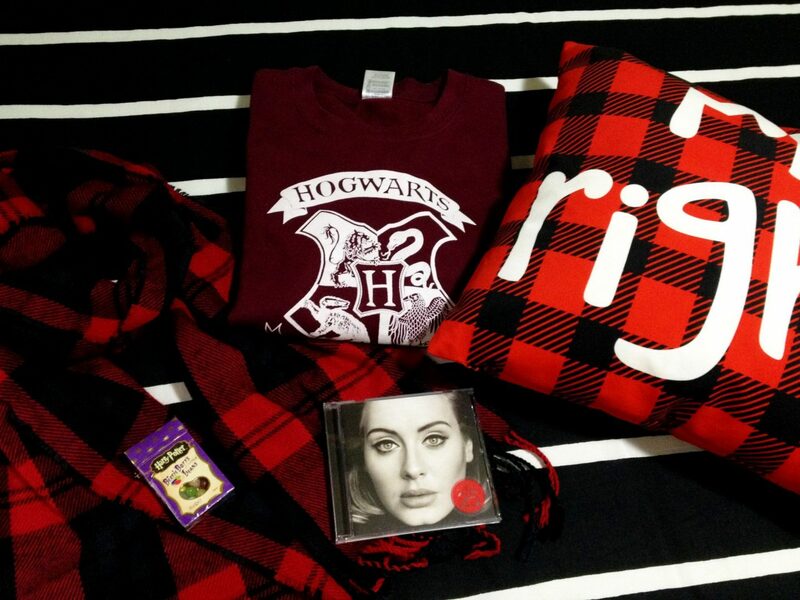 Adele is fab as always 😉 I love Harry Potter too, do you know what house you are in? I think I’m Ravenclaw because I’m very interested in knowledge, what about you? Thank you! Yes, she’s awesome! I’m wearing it today hahaha you should get one! I’ve never bought one because they were hugely expensive. 😮 guess they’ve finally come down in price.